Is silence a good thing or a bad thing--what does it really mean? Silence can mean modesty and humility--you withhold speaking out of turn or having a big mouth; you recognize that you don't know everything and what you do know is not intended to put down or shame others. 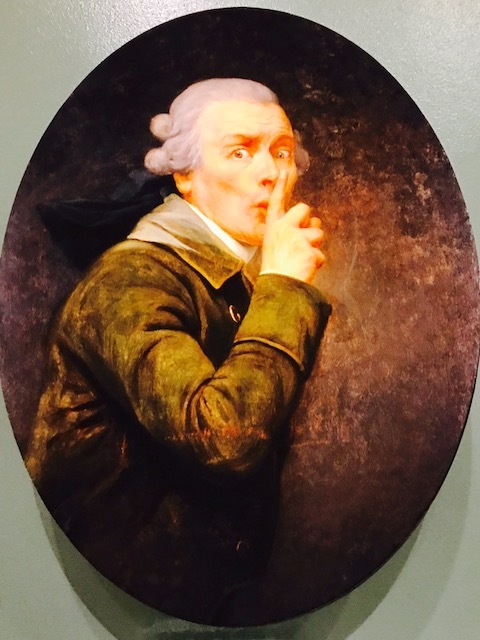 Silence can means secrets and privacy--you don't say everything; you treat information properly based on need to know and propriety of sharing. Silence can mean good situational judgement--that you know prudently when to let others have their say, or when your opinion isn't really welcome, or when it's best to just stay below the radar. Silence can mean you simply don't know--and it's something you need to listen and learn more about rather than speak; it's why we're told that we have two ears and one mouth. Silence can mean that maybe you don't care about something--why get fired up or "waste your breath" on it when it's just not your thing. There was a sign in the local school window that silence means (wrongful) acceptance; that is also something I learned in in the Talmud in yeshiva; if you see something wrong and don't say or do something, you are (partially) responsible. Silence can mean fear--perhaps you don't accept something, but you're afraid to speak truth or morality to power; you sit silently cowering, when you should stand up tall and speak out. Silence may also mean shame--you've done something wrong or don't want others to know something that could make you look bad or put you in jeopardy. Silence can mean you are hiding something--it can be that you don't trust or aren't trustful; silence at a time when you need to answer or respond can result in suspicion about why you are "holding back," instead of being forthcoming and truthful. Certainly, "you have the right to remain silent." We need to use words with care and intent--to always seek to help and not to hurt. Words are so potent--the mouth is perhaps the strongest part of the human body, just like the pen is mightier than the sword.